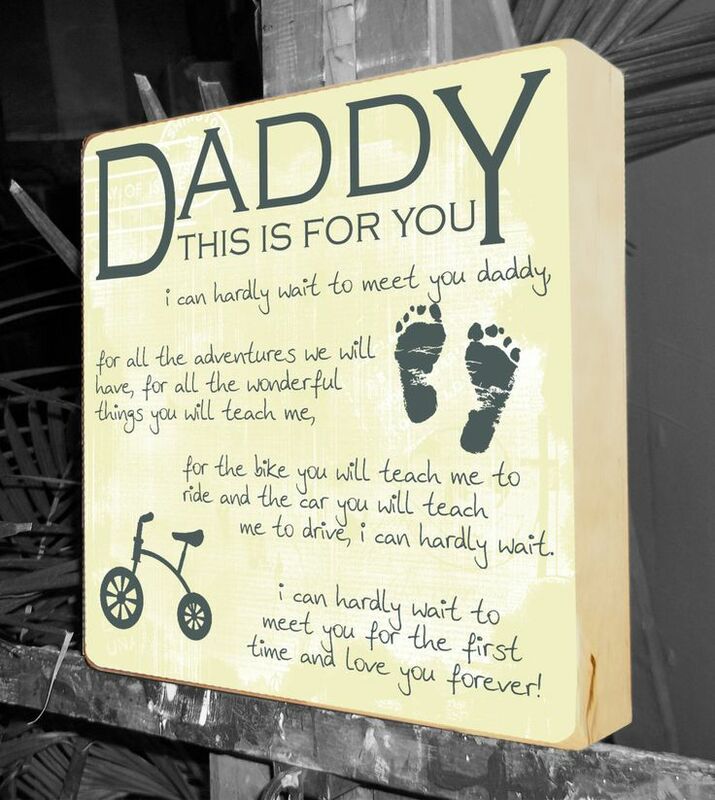 Baby gifts aren’t easy to find these days, especially if you want to make sure that the one you’ll give to the future parent will definitely make an impression. We don’t want to bore you with any useless details, so we’ll get to the point. We’ve collected some of the coolest and neatest-looking products that you can go for if you want your present to be memorable. Check them out below. New parents have many things to learn and worry about, so every little help matters. This baby bouncer is an excellent solution for helping the little one fall asleep, and allowing the parents a small break. The action of the seat soothes the child, and the vibrations help them calm down. The quirky toys provide some extra entertainment, as well. The toy bar comes with spinning toys, representing a monkey, a lion, and a zebra. In case you need to remove the toy bar, this comes off quickly. 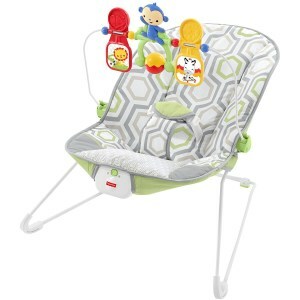 The seat pad can be washed in any washing machine, and the three-point harness keeps the baby safe. 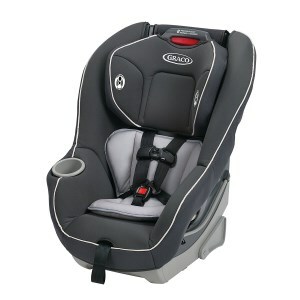 A convertible car seat is an excellent idea for a gift you want to offer to new parents. This model can accommodate babies weighing as little as 5 pounds. In the rear-facing position, it allows parents to keep their babies safe until they reach a weight of 40 pounds. Once the baby reaches the age of being a toddler, you can switch the car seat to the forward facing positions. Kids weighing up to 65 pounds can use this car seat. The model comes with a safety harness that can be adjusted on the go, without the need to be re-threaded. 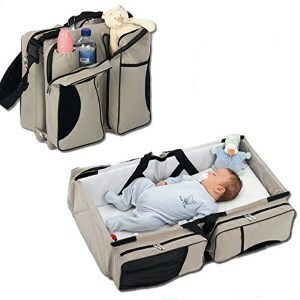 Parents always on the go can certainly make use of the Graco Gotham Smart Organizer, a product that deserves its name. It will help you keep everything well organized, and there will never be a moment when you forget where the diapers are or any other things you need when taking care of a baby. 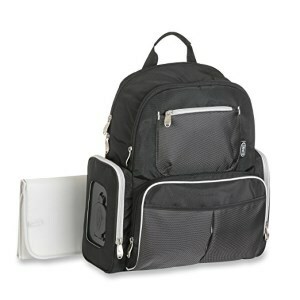 The shoulder straps are padded, and they help you carry the organizer around, and they can also be adjusted. A nice touch is the diaper changer included that will let you take care of the baby exactly how you would like to. Give your baby the right toy to have them start developing their motor skills, by getting the Infantino Twist and Fold. Designed as an activity gym, this is great as a playground, and it can help you keep the baby busy while you see about other chores. 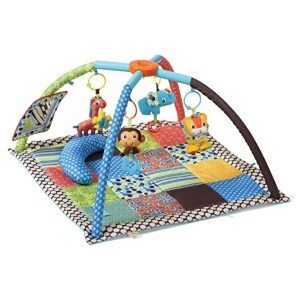 The sit and play area is nice to have, and so are the linkable toys available. Your baby will not have a moment of boredom when they play with all that the activity gym offers. The tummy time bolster is a nice touch, as is the peek-a-boo mirror. The activity gym is easy to fold and carry around so that you can take it with you on trips. Some babies fall asleep quickly, while others have more problems with this. If your baby belongs to the latter category, here is a product you can use. It is also an excellent gift for new parents who encounter such issues. The rhythmic sound made by the unit will lull the baby into sleep. You can schedule the shusher to work for 15 minutes or half an hour so that your baby can fall asleep in their own time. There was quite a bit of research invested in this product; the sounds made by the unit resemble the rhythmic sounds the baby use to hear inside the uterus, and they have an instant calming effect. Convenience is what matters most to new parents, and products that can satisfy multiple needs at the same time are always appreciated. The Boxum Baby 3 in 1 looks like a portable bassinet when you first look at it, but it also serves as a change table, and as a diaper bag. This kind of functionality makes it an instant hit with parents. When you have to move the baby, and you don’t have an extra pair of hands to help you, this will surely come in handy. Your baby can continue to sleep, while you will have all the diapers and other necessities close by. A perfect gift for new parents, this baby bodysuit will bring a smile on their faces and will add to the baby’s wardrobe. Bear in mind that the manufacturer offers a detailed chart for sizes, so you can identify what to buy. The bodysuit is made of cotton and very comfortable. The fabric is soft to the touch, and it will not risk irritating the baby’s delicate skin. 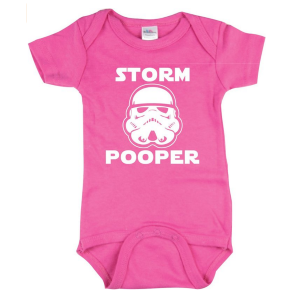 The print on the front is quirky and fun, and your friends will appreciate it, as new parents who could use a good laugh. Finding the perfect gift for new parents could be tricky especially if you are close to the parents. 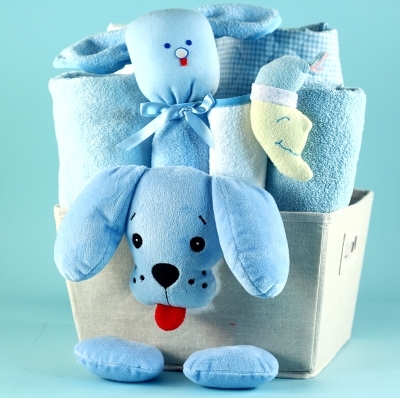 You get to share their emotions and even be part of the whole birth process which adds a little pressure when trying to come up with a meaningful gift for the new bundle of joy. Unfortunately, no matter how many options you can have both online and offline, finding just the perfect present could prove to be quite the struggle. Fighting between being innovative and getting something actually useful is what will occupy your thoughts for the next few days. This time-consuming process of buying a gift for such a small creature could be more pleasant if you decide to take into consideration our comprehensive shopping guide. We promise our tips and tricks will decrease the amount of time you will have to spend in stores looking for the right gift and may even give you some thoughtful ideas about what to buy to the new parents. Bear in mind that no matter the occasion, it is always better to give some thought to the needs of the gift receiver, as well as their taste or hobbies. In this case, we do talk about the tastes and personal preferences of the parents so you may want to ask them first before buying anything. Finding the right baby gift could actually become a positive shopping experience if you are ready to read about our tips and tricks. As previously mentioned, before deciding upon an item, since we are talking about a newborn, you might want to ask the parents first. Since they will become parents for the first time, it is only natural that they will be extremely emotional and anxious so they might slip a couple of needs from their minds. Although you may think it is a little bit rude to ask the parents before, it is always better, especially if you are close to them. There are plenty of baby gadgets and accessories which won’t get to be used more than a couple of times, so there is no point in spending important amounts of money on useless items. Although it may seem like a natural gift for a newborn, how original is that at the end of the day? Take a little moment and think just how many other friends, family members or acquaintances coming to the baby shower will bring pieces of clothing. Exactly our point – one too many. Apart from being the most predictable gift, you risk buying something that won’t fit. Thus, unless you are really sure of the baby’s dimensions, we suggest you avoid shopping for clothes. In fact, there are numerous reasons why baby clothing shouldn’t be your number one item on the gift list, among them the following: all baby clothes must be washed and sanitized (usually by boiling) before putting them on the babies. Babies have extremely sensitive skins; thus, even the slightest fabric inconvenience could cause a rush. Secondly, you have to guess the right the size of the clothing. Some babies are born bigger than average, which is why the newborn clothes may not fit. Thirdly, you will probably end up paying a significant amount of money on pieces of clothing the little one will never get the chance to wear. If, however, you decide to go against our tips and buy clothing for the newborn, please bear in mind that you need to follow some simple rules. First of all, make sure all the fabrics are organic, pure cotton and free from chemical dyes. As we previously mentioned, baby skins are prone to rashes. Secondly, we suggest you always buy a couple of sizes bigger than the newborn section. Newborns develop differently and some of them grow faster than others. Moreover, bear in mind that the child will probably only stay inside in the first couple of weeks, and so there is no need for fancy costumes or princess dresses. Also, we suggest deciding on the season. Think ahead of things to realize which season will come after a few months and buy accordingly. If the little child is born during winter there is no need to buy small warm clothes but rather opt for t-shirts and breathable onesies which are suitable for spring or summer. As we encourage our readers to opt for other types of gifts instead of clothing items, we also consider you should think about your gift’s usefulness and applicability in real life. An animal mobile made out of colorful and plush little animals could be a nice addition to all baby cribs. They are cool, made from non-allergenic fabrics and will certainly stimulate the baby’s imagination and even get a few smiles. Another great type of mobile is one shaped as a cloud which will certainly create a peaceful and welcoming environment so that the baby will have a good night sleep. Another useful item you could think of buying is a baby blanket. There are literally thousands of options available in stores but we again suggest you choose those made from natural and breathable fabrics, thick enough to keep the baby warm during the night or on a walk in the park. A wall-mounted changing table could prove a life-saver, especially for inexperienced mothers. Since most of the house will probably be packed with child items, a space-saving device is always welcomed. The product is perfect for crowded rooms or small apartments, is easy to install and will provide a safe environment for the baby to be changed. Moreover, the soft exterior design is specially customized to meet the needs of a small child. Although not extremely useful, but extremely cool, we couldn’t end our shopping guide without mentioning the fortune cookie-shaped booties. They come in different colors and sizes and will display heart-melting messages for the little ones.